Banks County Farm Tour 2019! Please join us in celebrating Agriculture as we tour farms in Banks County. Learn of the Diversity of Agricultural commodities produced on farms within our county. 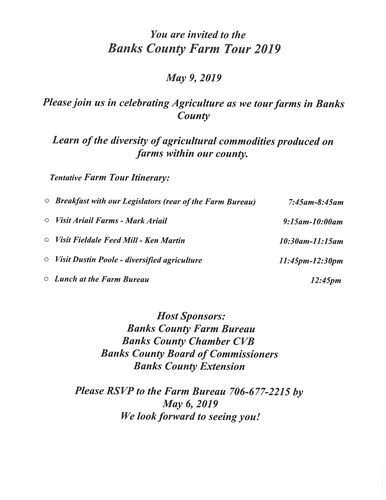 Please RSVP to the Farm Bureau 706-677-2215 by May 6, 2019. We look forward to seeing you!